Conquer the galaxy in style. Don’t judge a book by its cover, they, say but you know what? Having a beautiful, state-of-the-art cover sure can help. 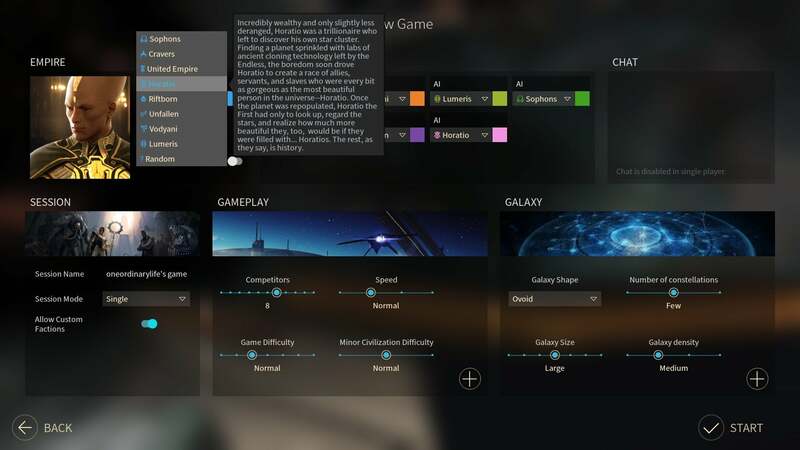 Such is the case with Endless Space 2, the latest and prettiest 4X strategy game from Amplitude. This is the part where I say, “Endless Space 2 has quite a few issues at release” though—and it does. 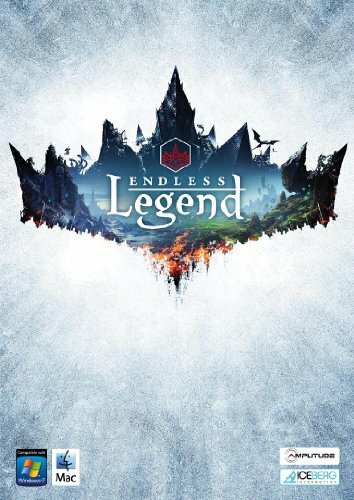 It’s not a flawless game, nor does it feel as fresh as Amplitude’s fantasy spin-off Endless Legend. It’s just so damn slick. Almost too slick, with Amplitude apparently concerned more with artistry than creating an intuitive user interface at times. 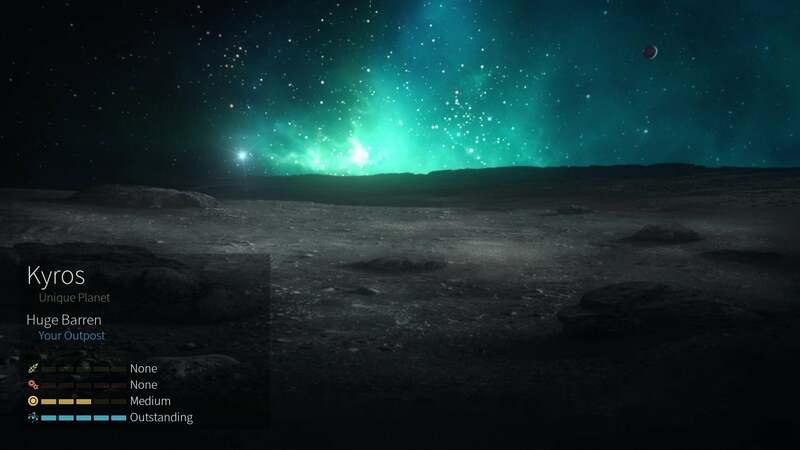 There were many moments in Endless Space 2 where I sat staring at some random menu, trying to figure out how to do the thing I wanted to do and not quite understanding which button would allow me to do it. Okay, so artistry can sometimes go too far. 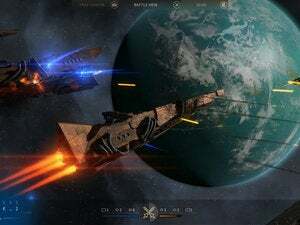 But presentation counts for a lot, especially in these space-faring games where developers are trying to highlight the wonders of exploration and capture that Star Trek feeling of probing (and plundering) the final frontier. 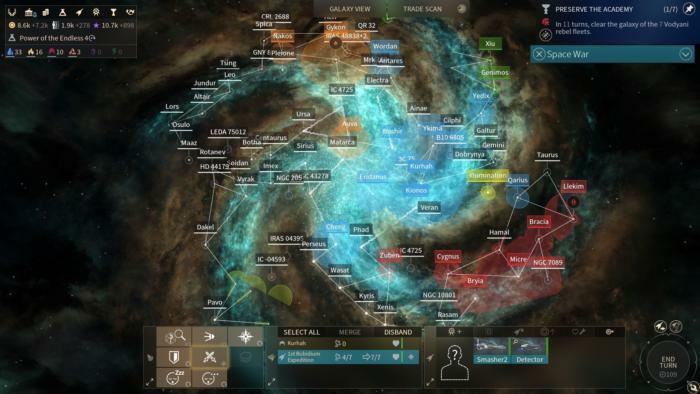 Master of Orion II knew it, Stellaris knew it, and Endless Space 2 knows it. It’s second-to-none in this regard. Like Endless Legend before it, the best part of Endless Space 2 is its writing. That's surprising for a turn-based strategy game, but Amplitude’s factions and quest system continue to be its best assets. 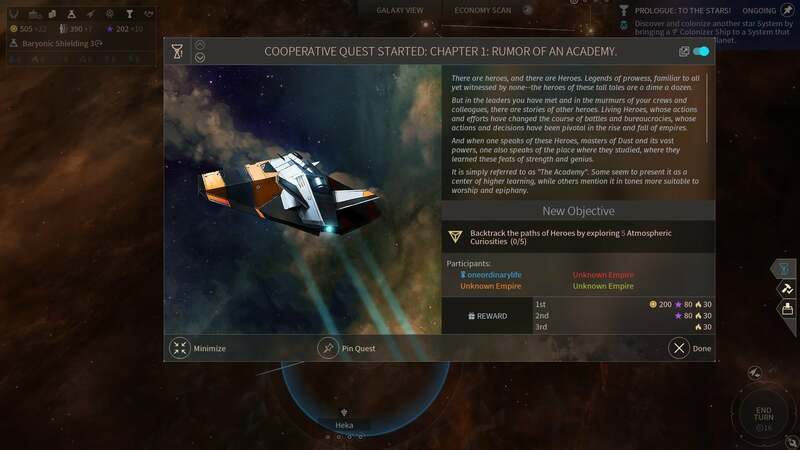 Every faction has a “storyline” of sorts to guide players through the game, and you’ll also randomly trigger other events by, for instance, exploring certain star systems. Factions are excellent. Groundbreaking? Not necessarily, and most are ported over from the original Endless Space, but they’re all memorable in their own archetypal way. The best remains the Horatio faction, a race of clones named Horatio created to bring beauty to the galaxy—beauty, of course, meaning more Horatios. Each is equally unique, though—differences driven home by the stylized intro and outro videos that accompany each campaign. 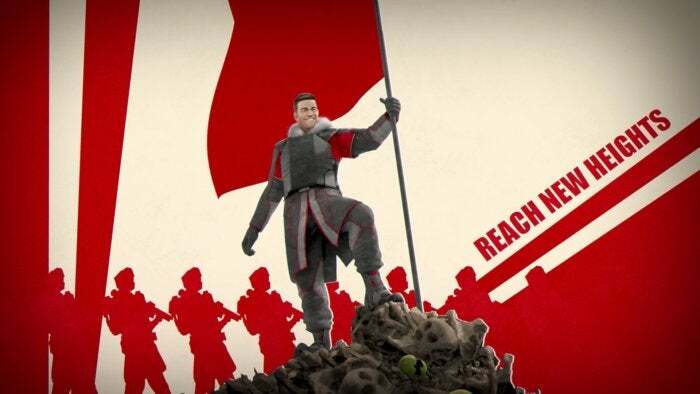 The United Empire has an incredible USSR propaganda aesthetic for instance, while the new Lumeris faction is essentially the space mafia. Differences in aesthetic are also reinforced by differences in how each faction plays this time. Substantial differences too, not just generic bonuses to science or industry or whatnot. Those exist (the Sophons and United Empire, respectively) but far more interesting are races like the Cravers, an insect-like horde that devours everything in its path, and the peace-loving Unfallen who colonize new worlds by extending tendrils of light from system to system. There’s life to this galaxy. 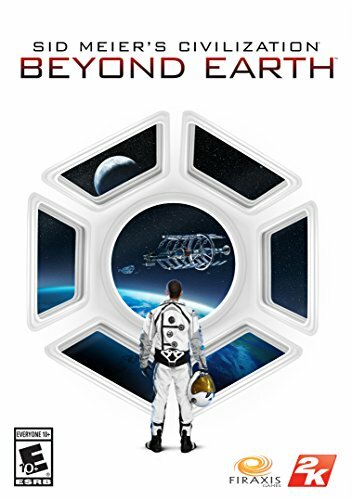 Civilization: Beyond Earth was a solid strategy game—it was based off Civ V, after all. But its biggest failing was in not giving players something to hook onto. Factions were generic future-versions of the French, the Americans, and et cetera. Endless Space 2’s factions and faction quests make it a galaxy worth exploring. The Sophon storyline for instance involves the rise and fall of a civilization-spanning artificial intelligence. It serves a mechanical purpose, guiding you through early-game choices, prompting you to specialize your economy towards a specific victory condition, and giving you something to do even when the game itself would otherwise devolve into clicking “End Turn” over and over. But it’s also just a damn fun story. It’s good space opera—pulp sci-fi with a heart to it. It makes you want to play the other factions, to see their stories even when the game itself occasionally flounders. There’s plenty of floundering too. As I said up top, Endless Space 2 does have quite a few issues. First and foremost is the aforementioned interface woes. Sometimes Endless Space 2 is so busy being pretty it forgets to actually convey any of the information it wants to convey. Certain systems are buried three or four menus deep, waiting to be discovered and exploited, but it’s easy to overlook entire aspects of the game without realizing your mistake. Other systems are just poorly explained. The tech tree is the worst of the lot, owing in part to the same problems as any future-centric game: You know what you want to do, but not what the tech is called. Playing Civilization, you know exactly what you’re in for when you research “Artillery” or whatever. But in Endless Space 2, what does “Xenobiology” mean for your fledgling empire? Or “Inter-Species HR”? Yeah, I don’t know either. You’ll spend way too much time hovering over different technologies, trying to figure out what exactly you should be prioritizing. 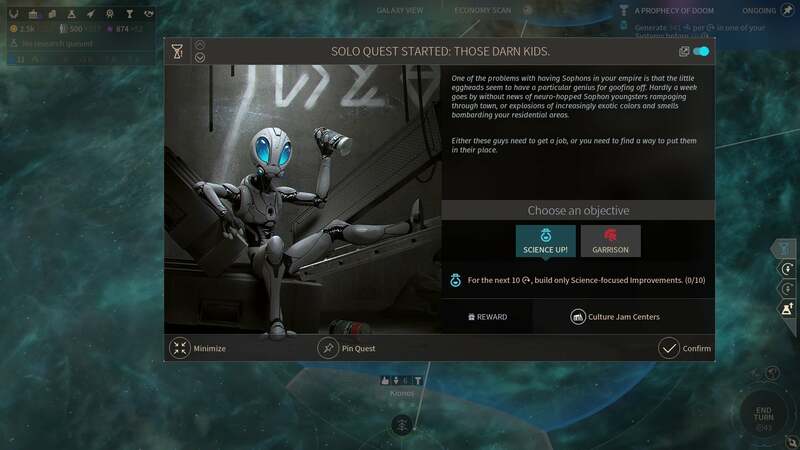 This problem isn’t limited to Endless Space 2 though. Other missteps are definitely design flaws, and could’ve been avoided or mitigated. Ship customization, a major focus of the tech tree, is an impenetrable wall of confusing icons and numbers with barely any reason to engage. Another menu-within-a-menu, the Marketplace, allows you to buy and sell luxury and strategic resources in a virtual stock market, but the system is barely touched on in the tutorial and sort of alluded to as a side note. You could make it two-thirds of the way through the game without even researching the technologies required to gain access. And that would be a huge mistake, because the Marketplace is one of the easiest ways to earn Dust (the galaxy’s money). This brings me to my next point: Victory conditions aren’t at all balanced, with the Economic victory being particularly easy to achieve. Trade is an easily abused system, an inexorable steamroll that will soon see you earning upwards of 30,000 Dust per turn. If it sounds like a lot, well, it is. That’s about 5 percent progress towards winning the game every single turn. My first match, I lost to another civilization’s economic victory before anyone had even fought a single war. And then there are the weird things—like being beholden to an alliance for your win conditions. If you align with another faction, you better hope they’re going for the same win condition as you because Endless Space 2 makes you both accountable for victory. 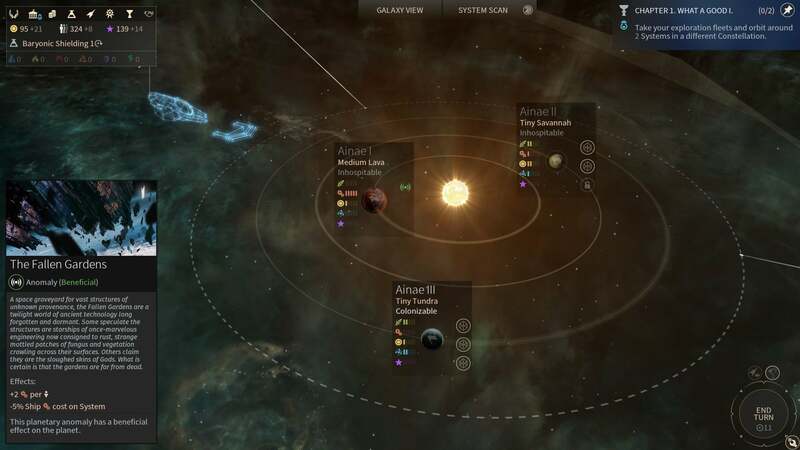 Instead of researching four technologies for a science victory, for example, you and your partner will need to research a total of six between your two factions. Economic victory? You’ll need 50 percent more Dust, and so on. There’s zero indication of this in-game though. I had to search the Steam forums to find out what was going on, which is never a good sign. Moreover, there’s no penalty to breaking an alliance because, well, you win, so I ended my Sophon campaign by annulling my alliance and getting a very anticlimactic science victory on the very next turn, after spending 15 turns confused about why I was apparently missing two technologies. I will say this about Endless Space 2 though: At least it doesn’t cheat, or at least not more than any other 4X game. For all its issues, the AI here is at least semi-competent, which is more than I can say about its predecessor. I’m left with somewhat mixed feelings. On the one hand, I really enjoy playing Endless Space 2. Its factions are so unique I’ve already played full games with three of them and started campaigns with two others. That’s extraordinary, seeing as factions in most 4X games feel like they boil down to a skin change and a couple of buffed numbers. Oh, and the game is gorgeous. Can’t say that enough. But it’s also shallow in many ways. So many undercooked systems, so many instances where design impedes function, so many old ideas masquerading as new. Endless Legend surprised me, bringing some actual fresh blood and innovation to the somewhat-stagnant 4X genre and giving Civilization a run for its money. 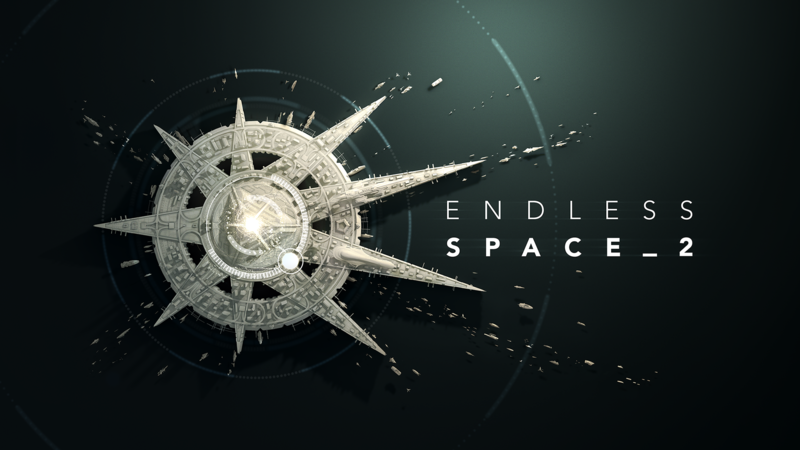 Endless Space 2 is, at its heart, just another Master of Orion II wannabe. That’s fine—but not quite as inspirational. 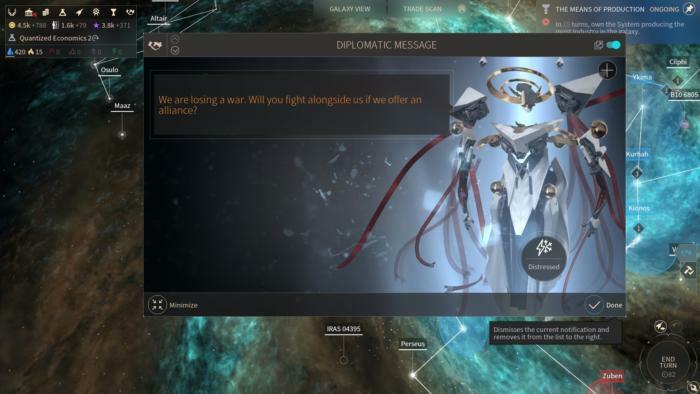 Endless Space 2 is the rare 4X game where the writing is better than the strategy—though the strategy is still pretty decent.